In the spirit of back to school, I have reviewed one of my favorite resources for paper management, The Organized Student by Donna Goldberg. This book is a must have for parents. Students are given tons of handouts throughout the year. Teaching them to get in the habit of keeping their paperwork organized will mean better planning for tests and projects, no more missed deadlines, and will relieve them of frantically looking for a handout or assignment as they are running out the door. 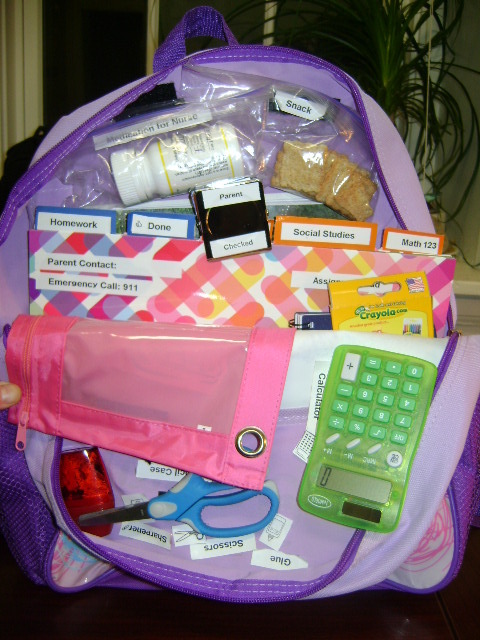 This post is all about keeping your child organized at school. The three most common and useful systems to keep your child organized at school are a locker, a backpack, and a binder or folders. A Locker or whatever storage space is available for your child at school, is an important space for them to keep materials they need in the classroom as well as store things during the day. Great tools to help keep your child’s locker organized are a locker divider which will help create a divide for an area to keep books and papers separate from things like art supplies and gym clothes and sports equipment. 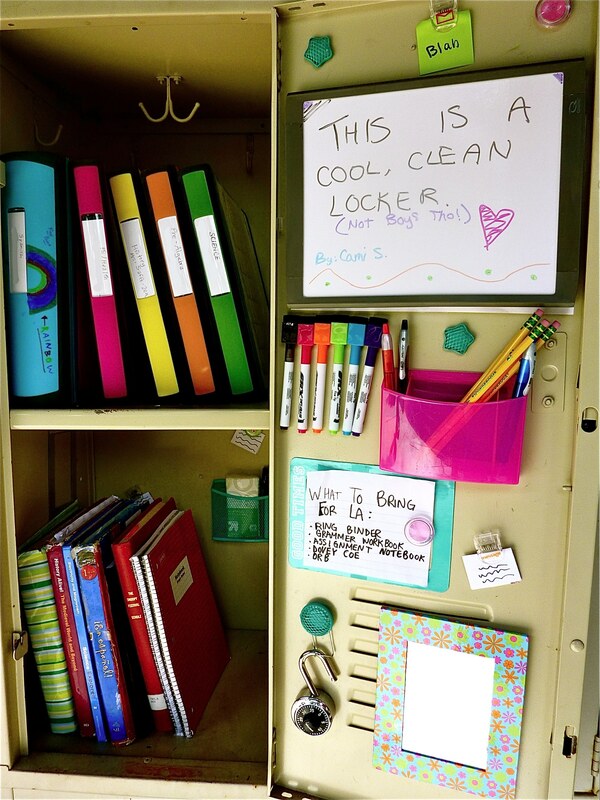 There are so many more fun products to customize and organize a locker. Check out The Container Store’s Back to School catalog. A Backpack is another important tool for students to stay organized and can often be very messy and disorganized. In your child’s backpack, make sure they have a binder or accordion file to store paperwork. Books should be placed in size and order to maximize the use of space. Its also a good idea to attach a luggage tag with general information such as name, telephone/cell phone number, and school as well as parent information in case the backpack gets lost. Throughout the year, continue to go through your child’s backpack to encourage them to purge any unwanted material; candy wrappers, pens that don’t work, old papers, etc.. Help them to keep it clean and organized. Make sure that they are using their binder or folders to store papers.